LINCOLN, N.H. — Some stories must be told vertically. Website developers and lovers of the iPad’s ubiquitous 1000×750 images might argue the point. But they would be wrong. Some stories must be told vertically. The story of Flume Gorge is one of those. 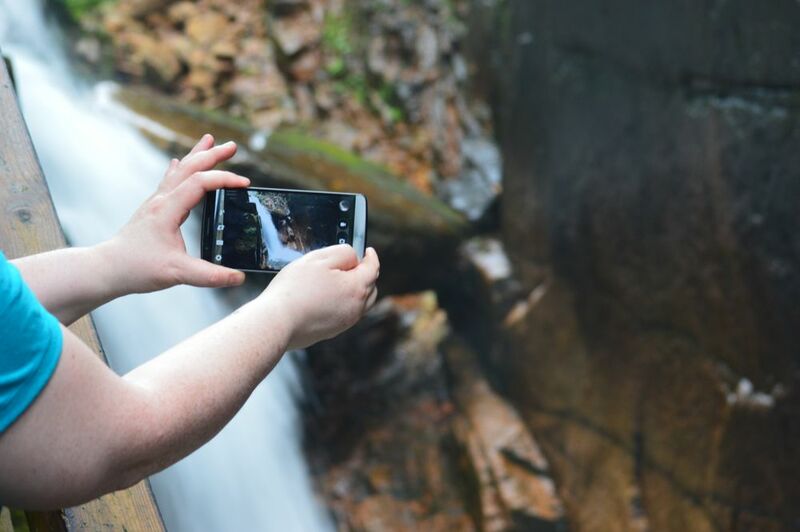 The adventurer credited with discovering Flume Gorge in the early 1800s wasn’t your average explorer: She was a 93-year-old auntie, and she was just out looking for a new fishing hole when the gurgling of a brook drew her to the gorge. Granite walls rising 90 feet with just 20 feet of air between them. Nearly as high as the clouds was a monstrous egg-shaped boulder suspended miraculously atop the gorge. 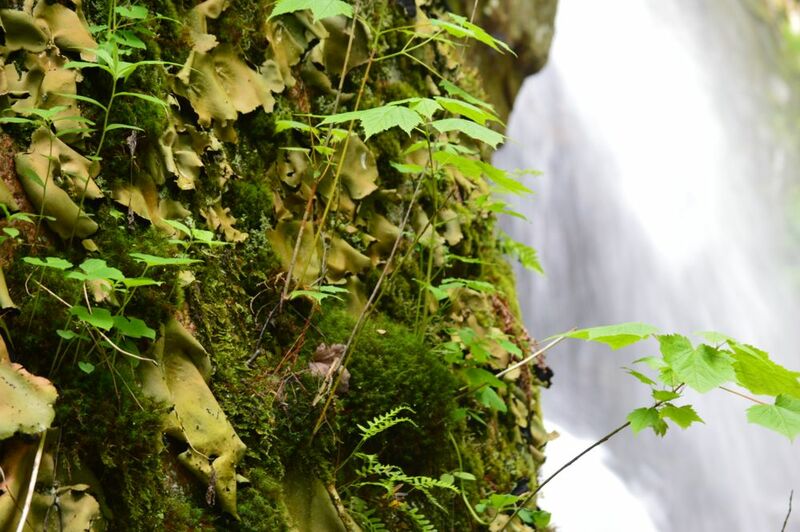 The gorge itself, blanketed in ferns and moss and dripping with stone-sweet water, was at least 800 feet long. An unseasonably cool, damp air cascaded through it above the deceptively powerful Flume Brook. Eighty years later a great storm would wash away the boulder and create Avalanche Falls, 45 feet high and loud enough to be heard from a mile away. The Sentinel Pine, a giant of a tree that stood above the still waters of a pool halfway up the gorge, weathered that storm but would be felled by a hurricane in 1938. It would be repurposed as a bridge, to continue its watch over the pool. But back in 1803, Auntie Jess scrambled over the rocks for a better look, then rushed back to share her discovery with her family. But she was 93, remember. They didn’t believe her. The stories don’t say how long it took the family to get on board. Maybe she gave up trying to convince them. Maybe she was eventually followed to her magical fishing hollow by one of the littles, who confirmed her tale. Faced with believing an auntie or a little … well, we’ll never know, will we? After much discussion, we are giving Flume Gorge three stroller wheels out of a completely arbitrary five. We leaned toward four, but the final decision comes down to cost vs. fun. The $16 per person price tag is prohibitive; $48 for two hours of exploring is just too much, even though Jilly got in free, and even though we believe strongly in supporting the public parks system. But it was stunningly beautiful in there and the cool air was just what we needed. There was an excellent mix of wide easy trails and fun twisty wooden walkways along the side of the rock. This is not the sort of place you’d want to bring a stroller, however — the stairs and few rough trails would be far too frustrating. The White Mountains are just beautiful and this was a good way to get up close and personal with them for two hours.